Today I’d like to share an article written by a friend, Vaughn Roycroft, who is currently working on his historical fantasy trilogy, The Broken Oaks trilogy. Today’s article is about the writer’s process of research and he hits the nail of the head. It spoke to me so much that I wanted to share it with you. 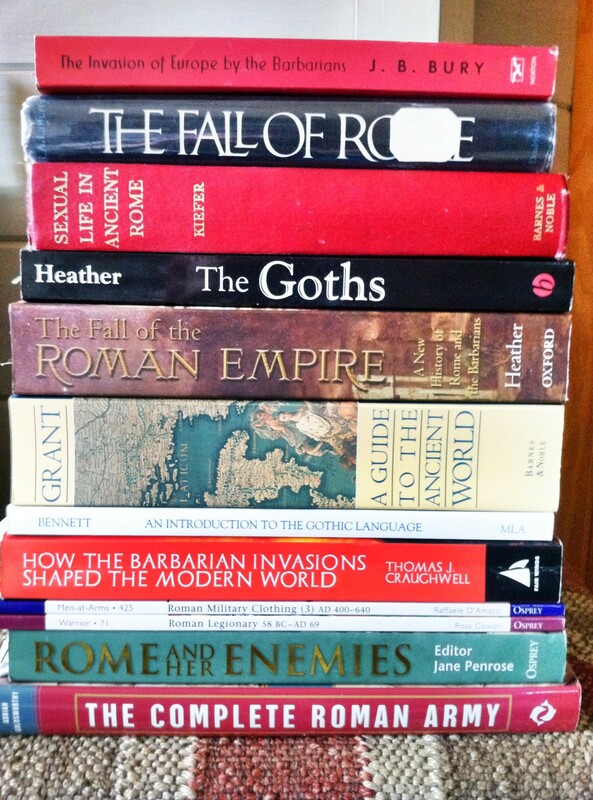 Whether you are researching current police procedures or rituals of ancient Rome, every writer has to do research. Roycroft talks about his process and the pros and cons of getting lost down the rabbit hole. I’ve written about my approach to world-building before, in general here, and in regards to names and naming here. But my friend Heather Reed recently undertook a new historical fantasy project, and she asked me specifically about my approach to researching the Broken Oaths trilogy. In looking back at my notes, I’m both excited for her and amazed. Excited because they remind me of the adventure of the hunt, and the thrill of discovery. But amazed by the wide and disparate variety of sources that I mined for my story elements. In wading through what can only be called a disorganized mess, it’s a wonder that I was able to arrive at anything coherent. This is one of the reasons I subscribe to the notion of a story muse. I’m the antithesis of organized, which seems contrary to being a good researcher. And yet somehow I was able to pull a story out of my intricate mess. As an example, I give you my namey-namer cheat-sheet (see photo). It’s a simple 81/2” x 11” sheet of plain white paper that started out as a short list of possible character names. 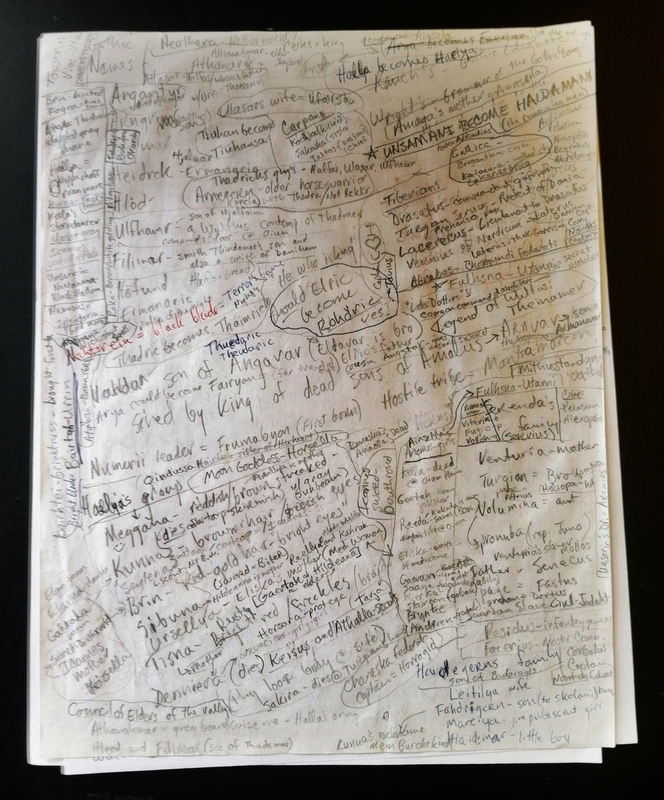 It’s now covered, front and back, with hundreds of names and obscure references. Please note there is very little means of organization, other than a handful of breakdowns by character group. And yet it continues to serve me well. I’m not sure how I find such a crazy resource helpful, but every time I need to check a name, this is my go-to reference. Honestly, I rarely need it. It’s mostly in issues such as: “Now what’s that secondary character’s grandmother’s name again?” And somehow I know what part of which side to look to find gramma’s name. This from a guy who honestly can’t recall his own phone number. Go figure. We’re in the information age, right? And with so much access to a mighty river of information, the toughest part is going to be finding the tributaries and offshoots that apply to your story. In order to do that, sticking your toe in will not do. You’re going to have to get wet. And you never know where the currents will carry you. 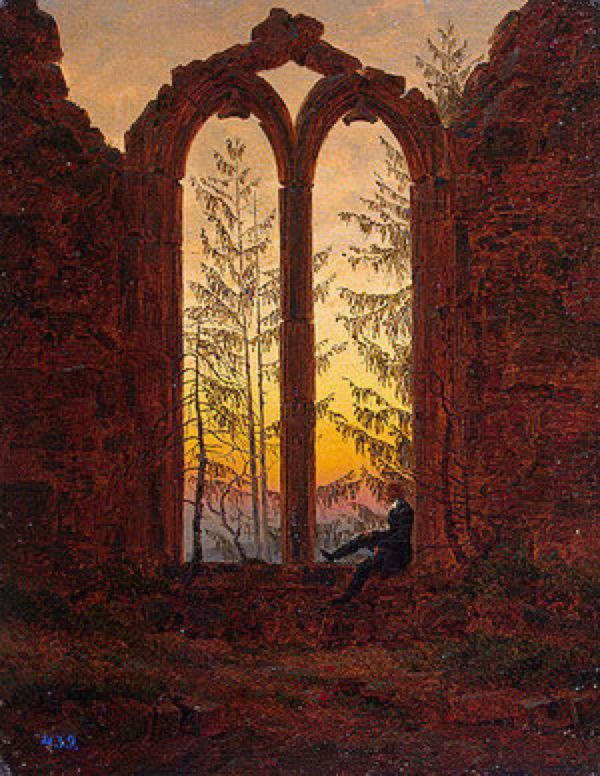 For example, my quest for original source material about the Goths swiftly revealed a scarcity. Which is why I was so excited to find one of the few existing documents about the Goths by a Goth—Jordanes’ The Origin and Deeds of the Goths. Although I quickly realized Jordanes was writing about previous generations with few specific references and an obvious quantity of bluster, one note caught my attention and held it. He claimed that the Greek myth of the Amazons originated with the Ancient Greeks’ discovery of a group of Goth women whose husbands and sons had left them on the north shore of the Black Sea to raid in Persia and Egypt. I was fascinated, and it led to months of study of the Amazons and related myths and topics. And ultimately, to my creation of the Skolani—an all-female warrior sect that plays a prominent role in all of my work. All from a paragraph in an ancient treatise. There were no kickass warrior women on my radar at the onset, but oh-how-glad I am that I was willing to dive and found my way to them. They are most certainly a pearl. There’s a lot to take in, on most any subject. But it’s difficult to pick and choose your sources. I say dive in and let it wash over you. Go with the flow. You might end up somewhere you like. In hindsight, I wish I’d worried less about delving for specifics. I wish I’d gone in with only the idea that I was going to educate myself and feed my enthusiasm, knowing the rest would more or less take care of itself. Because that’s what ended up happening. 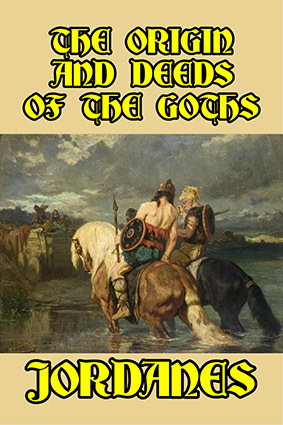 As another example, in my research of the Goths, I began by broadly perusing subjects pertaining to the Germanic Tribes at the height of the Roman Empire. I studied their social structure and kingship. I went on to study their laws and mores, settlement layouts, agriculture, games and amusements, clothing and jewelry, migration (causes and effects), and their weapons and warfare. What I really wanted was more specific information about how they governed themselves. Sadly, there is little information, and much of it is conflicting. But in the course of my search, as I studied the last topic—weapons and warfare—I now see what became the roots of my solution. There is an entry in my notes from a book called Battle-ax People, by Olivia Vlahos. 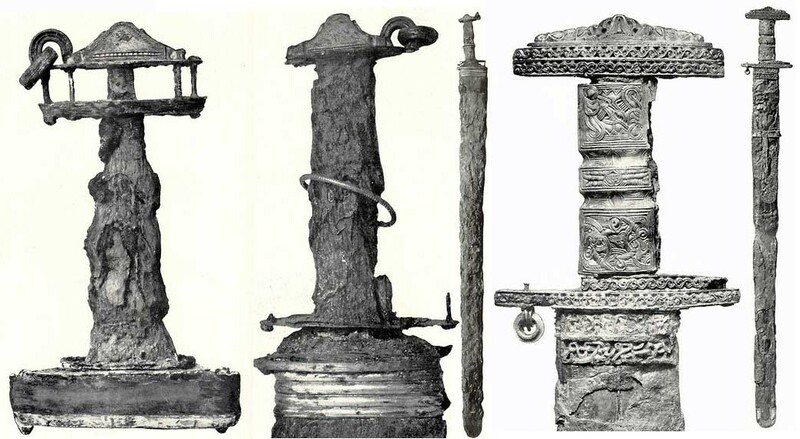 The note pertains to the expense and significance of swords, and how certain swords became important relics passed from father to son, occasionally symbolizing a legacy of chieftainship. From another book called The Everyday Life of Barbarians: Goths, Franks, and Vandals, by Malcom Todd, I note that some important swords are inscribed with oaths, and occasionally such oaths appeared in the form of rune rings, attached to the hilt. The two notes are only a few sentences each, and were taken several months apart. And yet they clearly led to the Futhark swords of the Gottari ruling clans—the symbolic relics which represent the leadership of my two ruling clans. I don’t see any notation that I’d put the two together—inherited swords symbolic of leadership and rune rings on hilts—at the time. But when it came time to outline, a symbol was needed, and there they were: the Futhark swords. I invented much of the rest of the elements of their governance from other tidbits gleaned over the course of my research, and it all fell into place once I had the Futhark swords. So I’d advise you not to bother looking for bright baubles as you go. Just scoop it in. Your muse (or your subconscious) will sift through for the gems. It might seem silly, now that you’ve read this far, that a guy who admits he’s a disorganized and somewhat aimless researcher is now going to give you advice on researching. But I am (going to give advice, not silly—or is it both?). Take it or leave it. It’s all in good fun (as any research for fiction should be). *Find your passion! As I say, this should be fun. If you’re passionate about your subject or era, your research will not only be easy, but a pleasure—something you’ll look forward to doing. *Give yourself ENOUGH time, but not ENDLESS time. If you’re having fun researching, as you should, you might find a point of diminishing returns. At some point we all have to stop researching and start writing. *Start online, but zero in with books. Nothing beats the internet for gaining a broader understanding of a topic or era. But you’ll soon realize that if you want any depth and citation, you need to go to books. I buy as many as I can, but for most of us, trips to the library become an indispensable part of any major research project. *Don’t be afraid to follow the rabbit down the hole. I think I’ve pretty well illustrated this point. If you’re writing about Goths and Romans in the 4th Century AD, don’t be afraid to spend a few months chasing Amazons across Ancient Greece and beyond. Or something along those lines. “I’ve noticed this effect: When writers undertake to write a story, the insights and information they need to write it well tend to arrive unasked for. Those things arrive at the right moments, perfectly timed gifts from the story god. Or, is it rather that an author’s brain, working on a story, begins to grab available information and synthesize it, which is to say bend, blend and meld it to the purposes of the story? Don’s quote above is from a comment he made on a wonderful WU post this week. The post is largely about the mysterious and seemingly random serendipity of the power of the brain, by Maureen Seaberg, the co-author of Struck by Genius. And, as he often does, for me Don took the post to a whole new level. I allotted a year to research when I began my manuscript in earnest. And I ended up with a pile of notebooks even larger than the one pictured above. 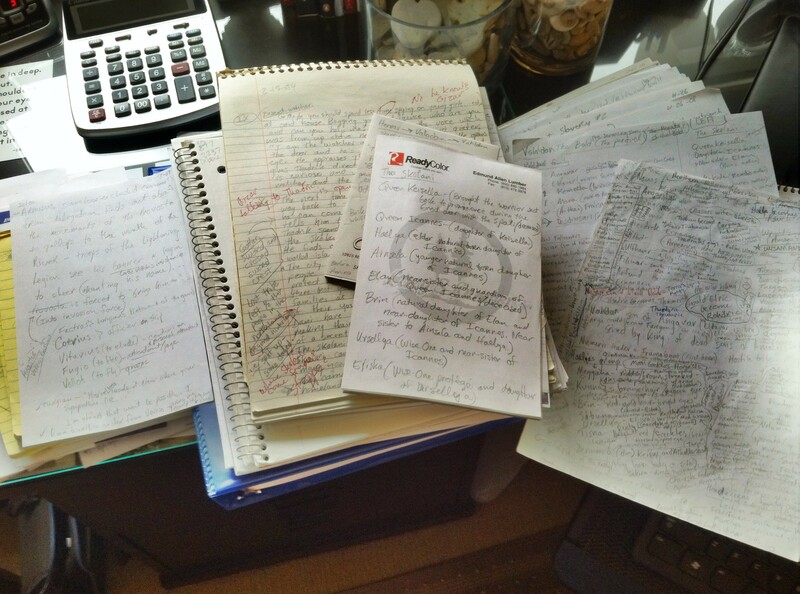 But once I started writing, I rarely dug through that disorganized mess (perhaps in part because it was disorganized). The insights and information I needed tended to arrive as perfectly timed gifts from the story god. Or did my brain somehow know better than my conscious self which bits to grasp and gather, to then “bend, blend and meld to the purposes of the story”? Either way, I’m glad I somehow found my way to allowing my brain to assist my heart. Moving forward, I’m hoping I can repeat the process, but I’m not too worried. I’ve already stumbled onto streams that have led my subconscious to begin the bending, blending and melding all over again. Now it’s your turn. Is your research organized? Do your notebooks have color-coded tabs and an index? Do you trust that your brain will know better than your conscious self, and will assist your heart? Posted in Writing and tagged Donald Maas, research for fiction, Vaughn Roycroft, writer research, Writer Unboxed by VP with no comments yet.